You are, quite simply, a lovely host. What a beautiful home. The bed was soooo… comfortable. The room was perfect and I loved the wet room shower. Your kitchen, however, is the hub of the home and breakfast was delicious. Such a delightful experience. We really felt part of the family. You went above and beyond what was required – with our orientation trip to the Village and dropping us off closer to the station with our luggage when we left. Thank you so much for all your kindnesses and I will have no hesitation in recommending your home, should you wish to continue opening it to guests during Wimbledon. Just a quick message to say a big ‘Thank You’ for your hospitality over the past few days, we had an amazing time at the tennis, but it was all made that much better due to your kind hospitality. We really enjoyed staying with you, hopefully if we are lucky enough to get tickets again in the future, we can stay again! Just a quick note to thank you for putting us in touch with S & D, we had a lovely stay in their home for first week of Wimbledon! They really went out of their way to make us feel welcome & provided us with some delicious food. I will certainly be using WHBB again. I just wanted to send an email to say thank you very much for your kind hospitality. We had a fantastic day yesterday At Wimbledon, the weather was beautiful! If we come to Wimbledon we will be sure to stay with you again! Just to say we had the most amazing stay at Angela’s home. It was beautiful and so very comfortable – we definitely made the right choice and would happily stay there again. A perfect end to a perfect day at Wimbledon. Many thanks for your help in arranging this for us. Hope you have managed to get your house back in order. Just a note to say thank you for looking after us over the weekend. You were great hosts. Here’s to next year! Thank you for making my visit to Wimbledon such a pleasure. I will certainly give you a call if I get the job to work on the next Championships. Just a short note to say Thank You so much for making our stay so enjoyable. From our arrival to our departure you made us feel so welcome. The room is lovely and breakfast was perfect for us. Fingers crossed for tickets next year. 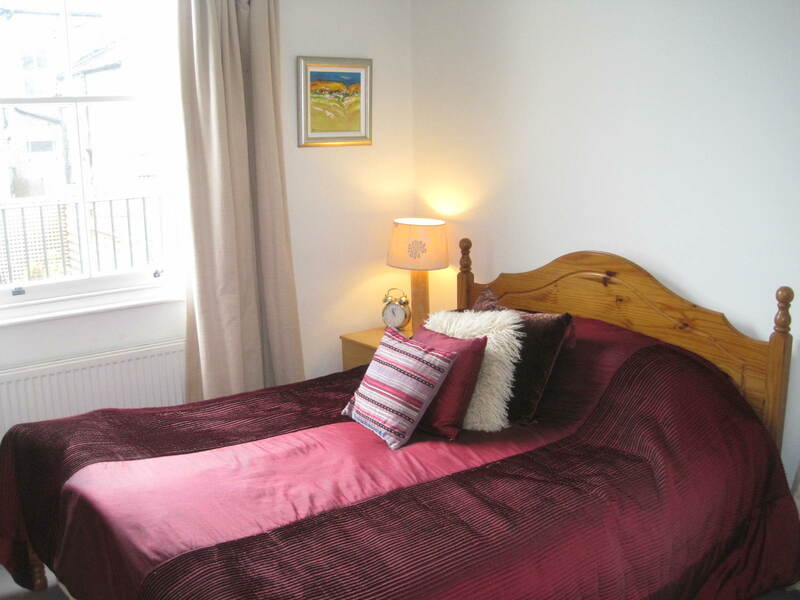 I just wanted to let you know what a delightful 2 day stay we had last week at Pulborough Road. FG could not have been more helpful and accommodating. Arriving in the intense heat and humidity she did all she could to make us comfortable, providing a large fan and a jug of iced water. Breakfasts were ideal and nothing too much trouble. We even had a little time to sit in the garden before heading home on Friday. A beautiful room and so close to the courts – we couldn’t fault it and would recommend and stay there any time.